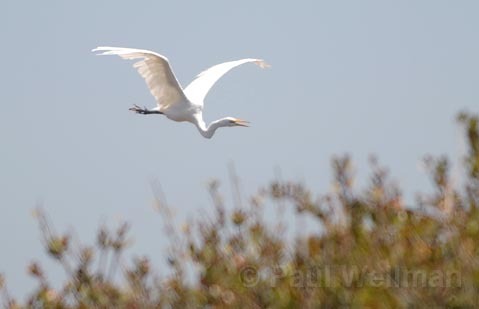 With a 28-acre parcel of Carpinteria blufftop land up for auction in mid-May, the Citizens for the Carpinteria Bluffs, which covets it as a nature preserve, is keeping a close eye on the situation, as is the Carpinteria City Council, which has earmarked some funds towards buying the land for the same purpose, though not enough to make the $12 million opening bid. 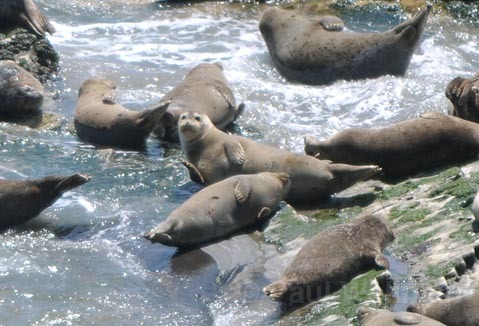 The parcel is located east of city hall and west of the Carpinteria Bluffs nature preserve, and it overlooks a California harbor seal rookery. It was on the market a few months ago for $26 million in connection with bankruptcy proceedings involving its investors, Point Center Financial, Inc., and Summerwind Investments LLC. It didn’t sell. The US Bankrupty Court granted the company another chance to auction the land before the property goes is foreclosed upon. This time around, Tranzon Asset Strategies, appointed by the court to handle the sale, is marketing the property aggressively, including ads in the Wall Street Journal. Currently, Tee-Time Driving Range and Johannes Flowers occupy some of the land, bringing the property owners a combined monthly income of $5,000, according to Tranzon’s president, Mike Walters. 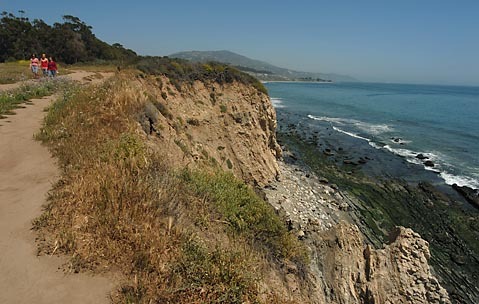 In April, at the behest of First District Supervisor Salud Carbajal, the County of Santa Barbara set aside $500,000 in Coastal Resource Enhancement Funds toward the possible purchase of this blufftop for public use; in addition the Carpinteria City Council has discussed the property in closed session a couple times. The council is “taking a hard look at it,” said Dave Durflinger, the city’s planning director, but is unlikely to cobble together enough funding to buy it before May 16, the date of the sealed-bid auction, which the city has not entered. However, there is still the possibility that the land’s investors will have resolved their financial difficulties by the time of the auction, or that no eligible buyer will come forward. One thing that might discourage potential buyers is the parcel’s zoning designation, which is Planned Unit Development, a broad category that could include anything from homes to commercial use to open space. The downside of a PUD designation from a developer’s point of view is that it requires the creation of a “specific plan” subject to broad community discussion and discretion. “There is a possibility, given the history, that there would be some resistance to a development proposal,” said Durflinger.